Three Dragons is going to New York in June 2019! Press play to see our student commercial for this amazing Big Apple extravaganza! We’ve been educator tour leaders since 2004 because, like Rick Steves, we believe that travel is one of the very best ways to learn. Let us introduce your kid firsthand to our amazing nation and the world beyond. All of our tours are custom, one-of-a-kind, educational, fun experiences tailored to the kids we teach and know! Past tours include Historic Boston, NYC Theatre & Landmarks, NYC Backstage Broadway/Theatre. Tour prices are always all inclusive: hotel, round-trip air travel from Seattle, private transport on location, travel insurance, an actual local as on-site tour leader, overnight security, and most meals. We plan well in advance to offer you affordable payment options. Educational travel to NYC will be an amazing educational theatre experience and will include Broadway shows, the Statue of Liberty, professional theatre workshops, the Metropolitan Museum of Art, and so much more of everything NYC has to offer! Experience all this and more with your favorite educators as guides & mentors. Join Phoenix, Amy, and Cory on this amazing theatre educational adventure! Three Dragons' trip to London was a great success! 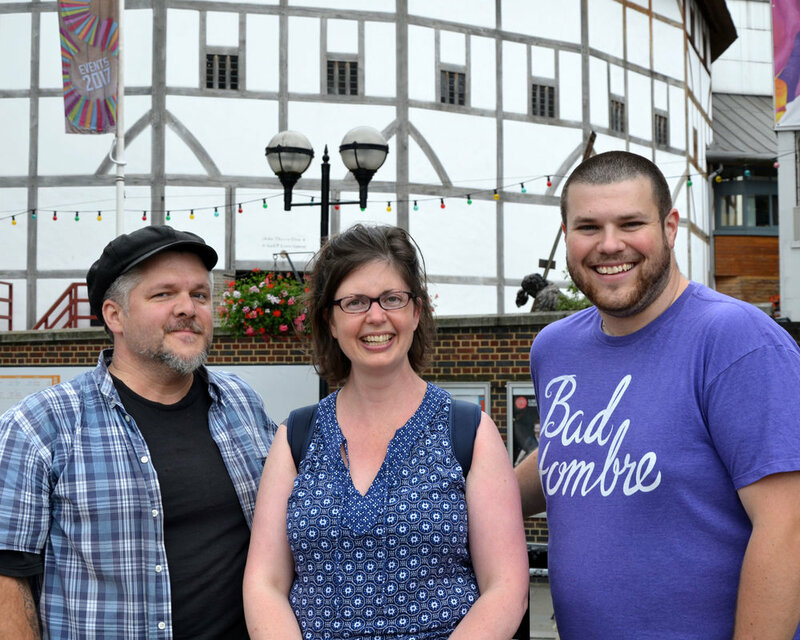 The tour included the Globe Theatre plus a performance, two West End shows, theatre workshops, and major sites including the London Eye.